Save SAR 0 (0%) Earn 38 Shukrans What is Shukran? Shukran is the Landmark Group’s award-winning loyalty programme in the Middle East, which allows you to earn Shukrans when you shop any of our brands. 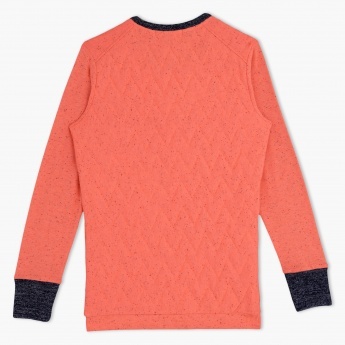 Bright tones are never out of style, and this lovely pullover is assured to do justice this season. The quilted finish of the piece is uplifted with the use of embellishments, tassel and frill detailing.